Welcome to the Southern Oregon Conference. Celebrating the finest safety, health, HR, wellness, and environmental training in Southern Oregon! 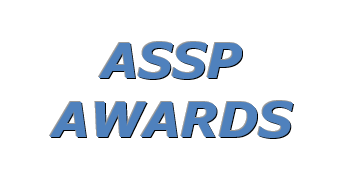 ASSP Awards Applications coming soon for the 2019 Conference! 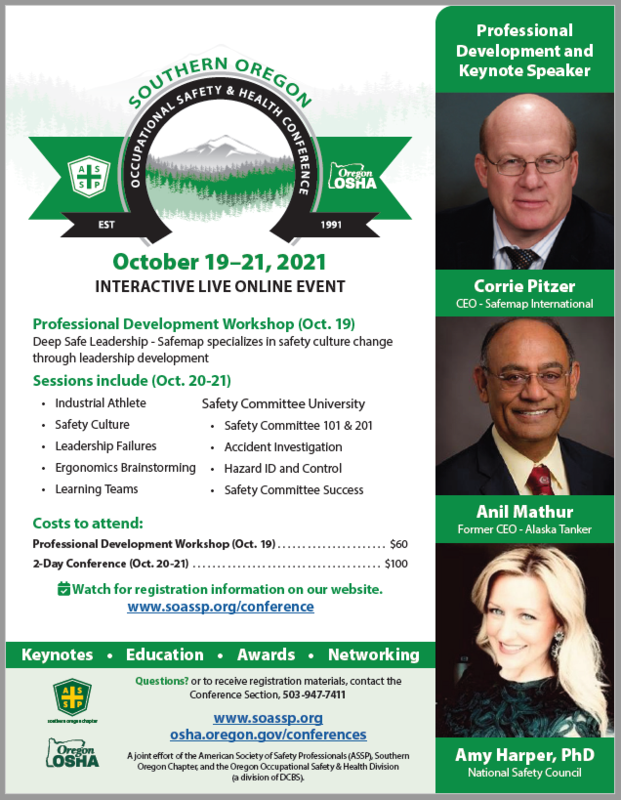 ASSP is proud to offer the following awards that are presented at the Southern Oregon Occupational Safety and Health Conference in October. Award applications are accepted until the end of August of each year preceding the October event. Identifies safety committees, its members and activities that have made a significant contribution toward company's overall success. Recognizes companies of all sizes that excel in addressing the seven major elements of an effective occupational safety and health program. Recognizes a business leader who has demonstrated an outstanding commitment to safety and health. Acknowledges the dedication and outstanding contributions of an ASSP member to the safety and health of their employer organization or Chapter region. Another Southern Oregon Occupational Safety and Health Conference is under our belt. The members of our conference planning committee and our Oregon OSHA partners performed so well in helping the conference to be a success. With over 375 attendees to our conference this year, it brings our conference attendance to the highest numbers we’ve had in over a decade. Our PDC and Keynote, Bob Edwards, challenged the way that we think about our work systems. Bob showed us how to look at our successes and failures in a different way. We plan on making the materials from his presentations available on our website at Southern Oregon ASSP.